Expo Veneto: THE DERSUT COFFEE MUSEUM: .... from plant to cup, itinerary through the history of coffee. Arrangement > THE DERSUT COFFEE MUSEUM: .... from plant to cup, itinerary through the history of coffee. 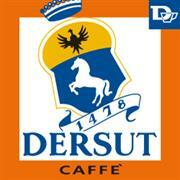 THE DERSUT COFFEE MUSEUM: .... FROM PLANT TO CUP, ITINERARY THROUGH THE HISTORY OF COFFEE. The Coffee Museum is unique of its kind due to the number of exhibits and the historic-educational value of the contents. Surrounded by the evocative panorama of the renowned hills that are home to Prosecco wine, it is situated at Conegliano, the birthplace of artist Cima da Conegliano. The idea of a Coffee Museum was the brainchild of Count Giorgio Caballini di Sassoferrato, Sole Director of the company and Chairman of the Gruppo Triveneto Torrefattori Caffè, whose daughter Lara and son-in-law Michele Meneghel assisted him with the organization and development of the project. The building is a completely renovated former silkworm breeding shed in the vicinity of the company’s headquarters in Via Vecellio 2 with an area of approximately 600 square metres distributed over two floors. Surrounded by the evocative panorama of the renowned hills that are home to Prosecco wine and situated a stone’s throw from the historic city centre of Conegliano, the birthplace of the famous artist Giovanni Battista Cima, the Coffee Museum is easily reached from Cortina and Venice. The museum exhibits, which provide a 360° overview of the world of coffee along a route of coffee cup path markers on the floor, are displayed in 4 broadly themed sections: 1) coffee plants; 2) the history of coffee roasting; 3) the history of coffee grinding and coffee makers; 4) the history of espresso coffee machines for bars. The route winds through many important historic exhibits, collected and lovingly kept by people who know all about coffee. There is also a vast exhibition of historic documents and photographs relating to our company. The Dersut Training Centre has been created in the second floor tasting-training hall: theoretical/practical courses for trade operators are held periodically in a dedicated place equipped with the most up-to-date teaching equipment, an open space which accommodates an eye-catching coffee tasting island and a conference area. Dersut courses are addressed to our clients and future coffee bar managers with the aim of spreading the culture of Italian espresso coffee. The theoretical part, for which a smart board connected to the museum web cams is used throughout, deals with the practical art of preparing espresso coffee and other specialities, with final tasting tests performed at a revolving marble table of the type used by professional tasters. Since 2003 the Museum has been part of the Treviso Museum Network, which brings together 58 important sites in the province with the purpose of giving lustre to the territory’s cultural heritage. Hospitality, Friendship, Culture: these are the symbols encapsulated in a cup of delicious Dersut coffee. The Coffee Museum is open to visitors on the first Saturday of every month. Admission and guided tours are free from 2 to 6 p.m. In June, July and August it is also open to groups that book in advance. The nearby “Bottega del Caffè Dersut” coffee bar serves espresso coffee and our other specialities and sells attractively packed coffee as a souvenir of your visit. from Treviso: autostrada A27, Conegliano exit, follow the road signs for the city centre. from Pordenone, autostrada A28, Conegliano exit, follow the road signs for the city centre. from Trento – Valsugana State Road (SS) 47, Feltre exit, follow the road signs for Valdobbiadene, at Covolo di Piave indications for Pieve di Soligo/Conegliano. Follow the road signs for the city centre. from Conegliano railway and bus stations – 10/12 minutes on foot along an easy pedestrian route. Since 1949 the owners’ passion for coffee has led the Conegliano company to seek quality not only in its products, but also in the entire production process and corporate organization. Dersut Caffè S.p.a is an historic coffee roasting firm based in Conegliano, Italy, founded in the post-war years by Count Vincenzo Caballini di Sassoferrato and currently run by his son Giorgio, who has worked in the company since 1971, assisted by his daughter Lara. Since 1949, the year of foundation, the owners’ passion for coffee and their business acumen have led the Conegliano company to seek quality not only in its products, but also in the entire production process and corporate organization. The company purchases the best varieties of coffee at just the right time directly in the production area, and employs state-of-the-art technology to perform constant checks that guarantee the quality standards established for each production stage: from roasting to packaging, to distribution. This has led to ever more success for the company, which nowadays is an exclusive supplier of over 3500 coffee bars, mainly in the Triveneto region, and is acquiring an increasingly significant share of certain important European markets. In 1993 Dersut Caffè was awarded a prestigious acknowledgement by the Italian Academy of Cuisine (Accademia Italiana della Cucina): the Dino Villani Prize for Quality (Premio della Qualità Dino Villani), assigned annually and individually to company owners who have constantly distinguished themselves for top quality production in the food and drink trade. In 2002 the company started a single brand coffee bar project, which over the years has developed different lines: Bottega del Caffè Dersut, Italiana Caffè, Giornale & Caffè and Caffè Light. Besides this project, which is developing continuously, Dersut has created a Coffee Museum (Museo del Caffè), opened on 9 October 2010 in a completely renovated former silkworm breeding shed in the vicinity of the company’s headquarters. The museum is unique of its kind due to the number of exhibits and the historic-educational value of the contents; the tour is called “… from plant to cup, an itinerary through the history of coffee …”, where the visitor can explore the entire espresso coffee supply chain. Since 2013 the Museum has been part of the Treviso Museum Network, which brings together 58 important sites in the province with the purpose of giving lustre to the territory’s cultural heritage.